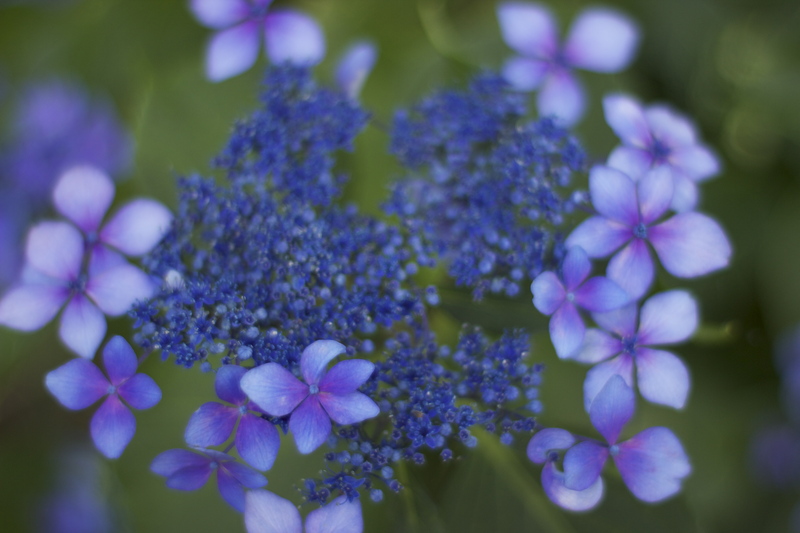 My small world has been vibrating with blue lately…the blue of the hydrangea. In the little town of Swarthmore, the sky-colored puffs are so prolific they must be predicting the end of the world with their abundance of blossom. We’re surely going out in style! 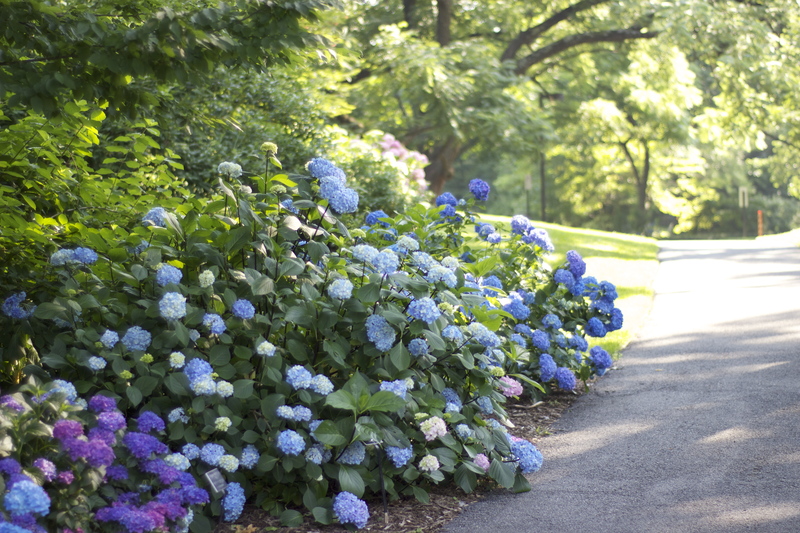 A stroll through the Hydrangea Collection at the Scott Arboretum will leave you reeling in disbelief at nature’s ability to create shades so cerulean. 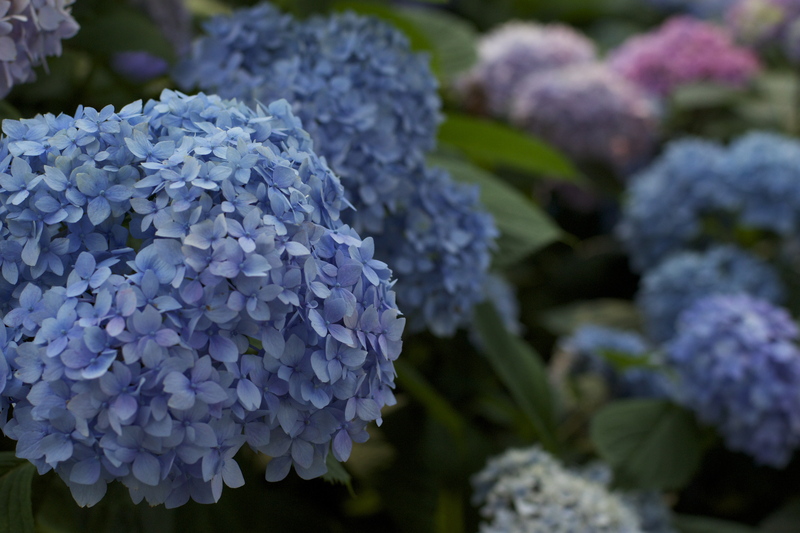 Actually, their color can vary depending on the soil’s acidity…alkaline soil (pH>7) produces pink flowers, while acidic soil (pH<7) produces blue flowers. We must be having quite an acidic year. 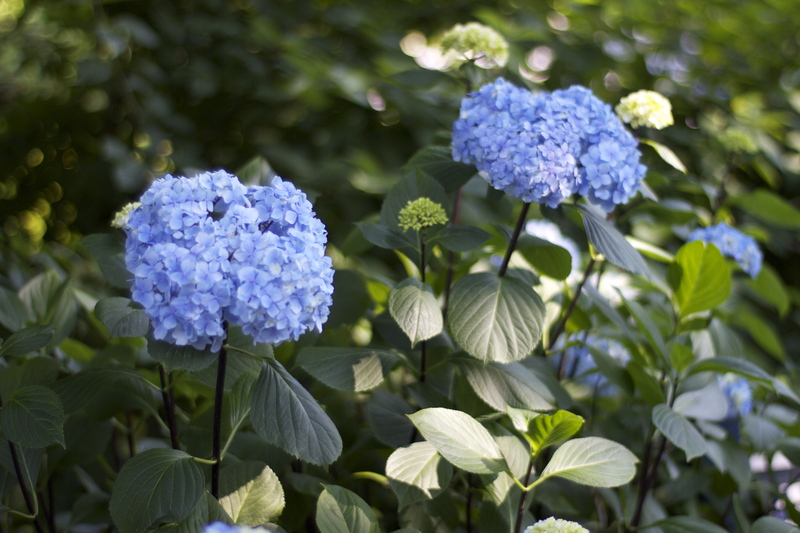 H. macrophylla, one of the most common species of Hydrangea, can have two different forms of flowers – either hortensia, the mophead, ball-shaped form; or lace-cap which is flat topped. ‘Claudia’ has a lace-cap form. H. serrata – Another lace-cap form: the smaller darker flowers in the center are fertile, while the outer more showy flowers (actually sepals) are infertile. The bees know the difference. 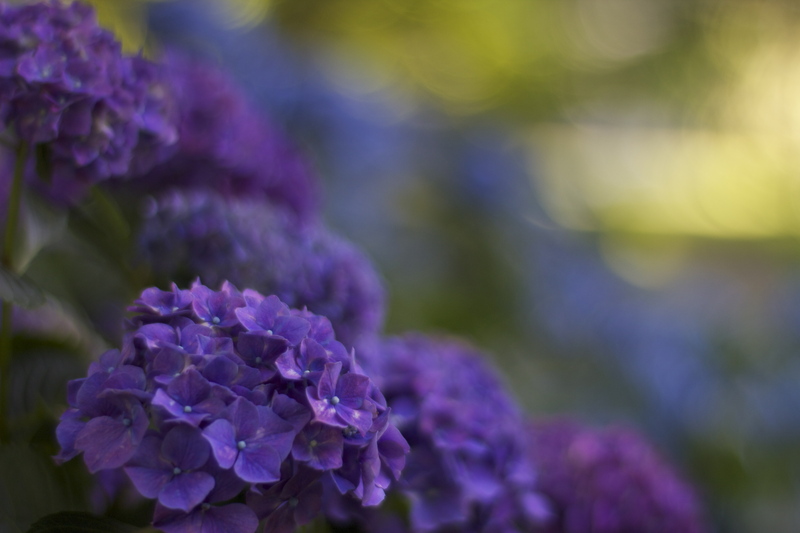 Most hydrangeas like dappled shade and well drained loamy soil. 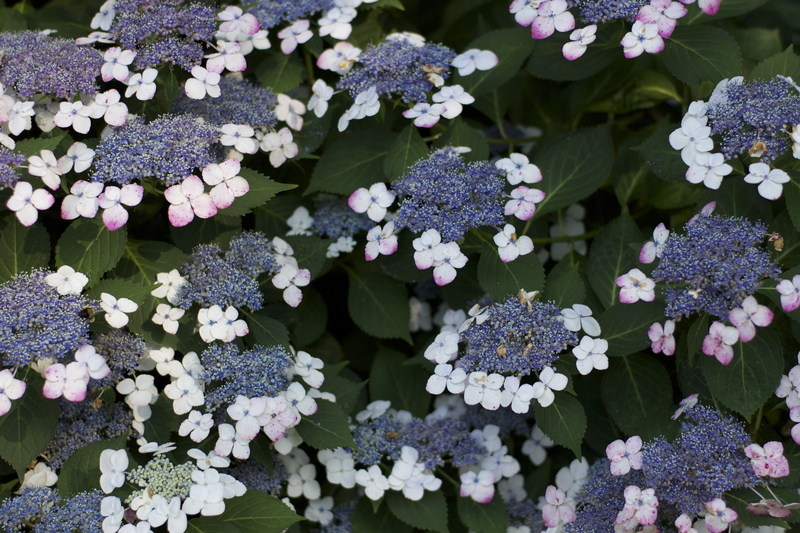 Hydrangea macrophylla blooms from late June through August, and prefers part shade and moist soil. It flowers on the previous season’s growth and should be pruned immediately after flowers have faded in late summer or early fall. 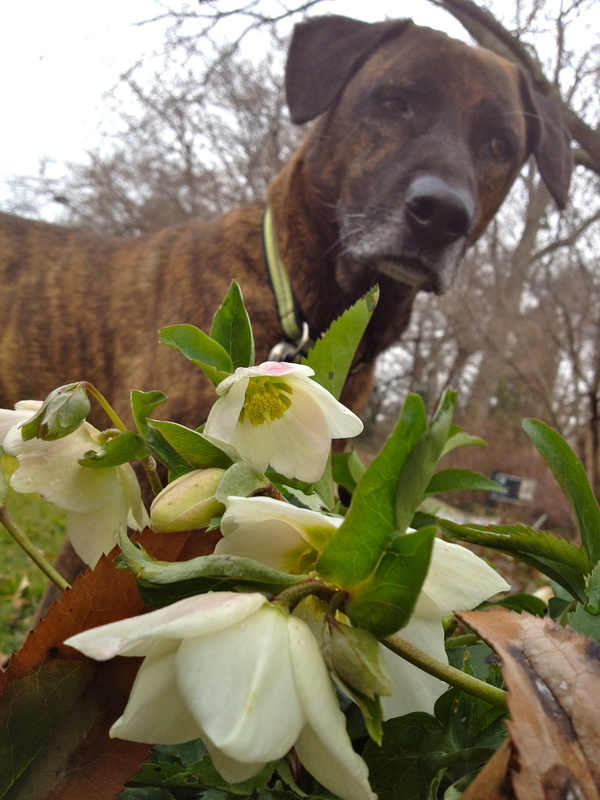 (Unlike H. arborescens and H. paniculata – prune those in late winter or early spring, they flower on the current year’s growth.) Here’s more on pruning, from Fine Gardening. 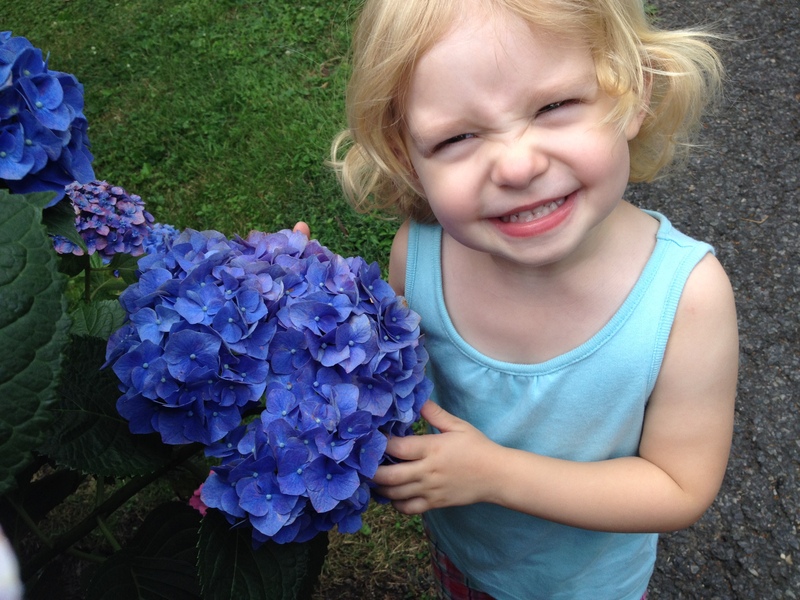 These blooms are as big as my niece June’s head! 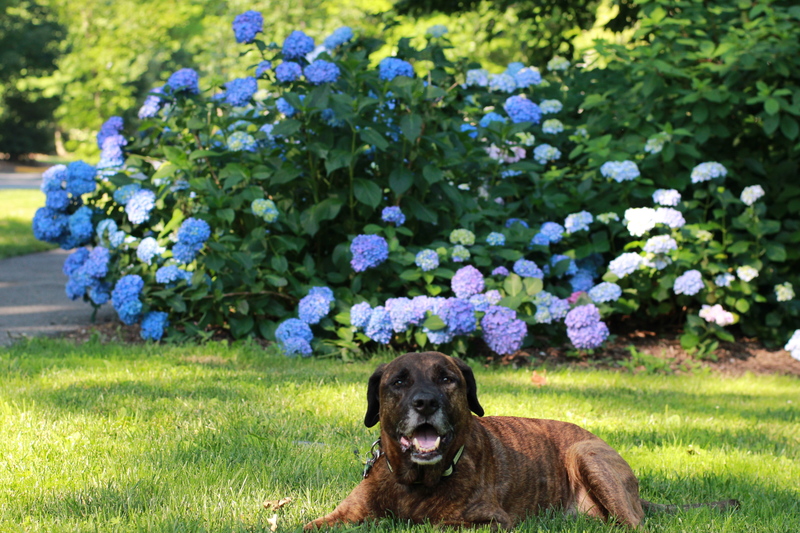 Finally, hydrangeas make wonderful cut flowers. They can last for weeks if their stems are re-cut and the water is changed frequently. 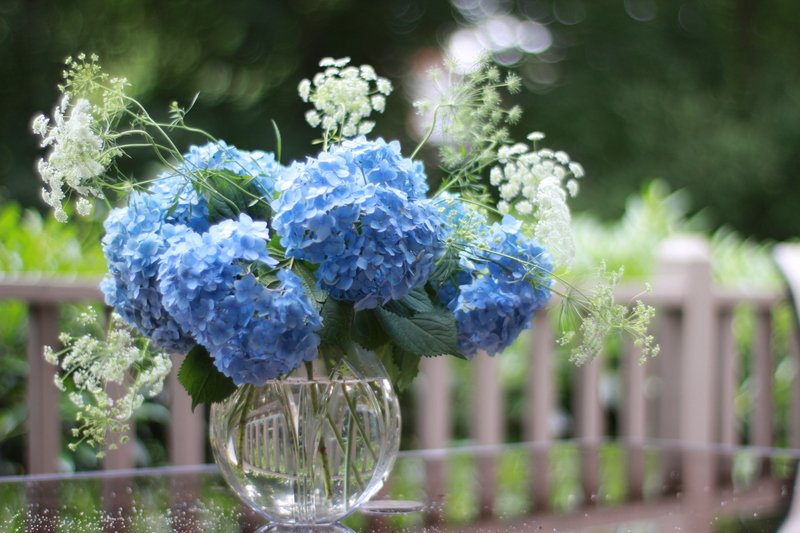 For my birthday, I created this simple arrangement using Hugh and Juliet’s blue macrophylla hydrangea (thanks guys!) and some of the Ammi majus from my garden.